When Kay Thompson (with Hilary Knight in tow) swept through Moscow at the height of the Cold War, the Russians didn't know what hit them. No one could have predicted that this small masterpiece would be the result. 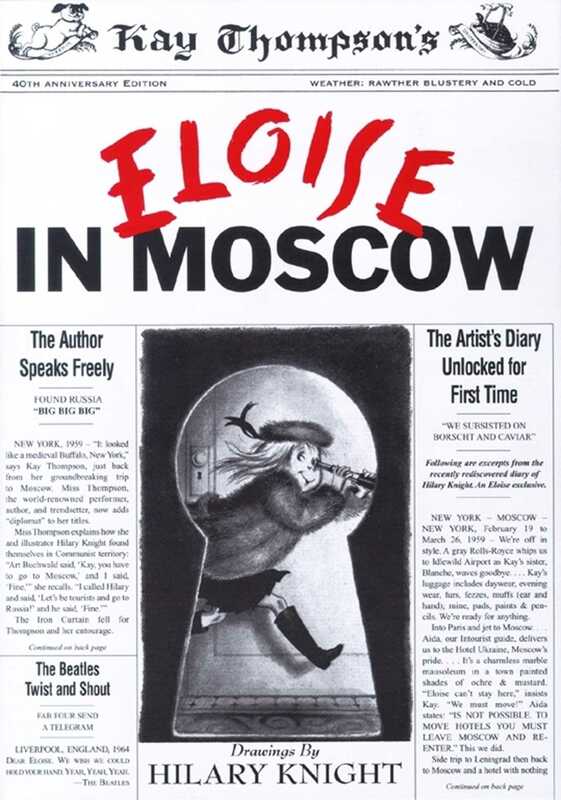 First published in 1959 and out of print for more than three decades, their fourth book about Eloise is DELICIOUS. Kay Thompson was a singer, dancer, vocal arranger and coach to many MGM musicals in the 1940s. The Eloise character grew out of the voice of a precocious six-year-old she used to put on to amuse her friends. Collaborating with Hilary Knight on what was an immediate bestseller, Kay Thompson and Hilary Knight became literary sensations when the book was first published in 1955. More than 2 million copies have been sold to date and there are 3 more to be reissued my S&S!